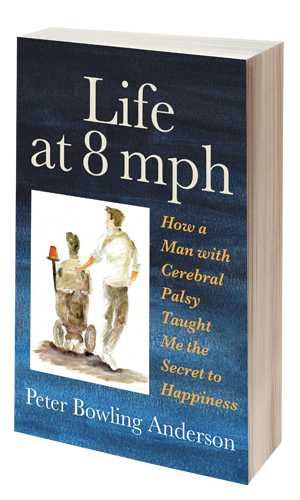 In the spirit of Tuesdays with Morrie, Life at 8 mph is the rare book that celebrates the friendship between two men while reminding readers that everyone has something to offer, regardless of physical limitations. When Peter Bowling Anderson began working for Richard Herrin, a man with cerebral palsy, Peter didn’t want the job. But the role as Richard’s assistant became a life-changing experience that opened Peter’s eyes to what life is really about, what joy actually looks like, and how courage is truly defined. Richard taught Peter that it was never too late to start over if only he would be willing to break through the walls he’d hidden behind for years. After five years of working with Richard, Peter had a new outlook on life, faith, and love—and a new wife he never would have met without Richard’s encouragement. Peter Bowling Anderson’s heartfelt debut inspires readers to question their assumptions, push beyond their boundaries, and view their struggles as springboards to authentic, lasting happiness. 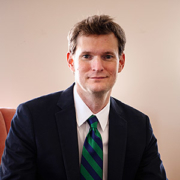 Peter Bowling Anderson has a master’s degree in communications/writing from Southwestern Baptist Theological Seminary, an M.A. in teaching from Centenary College, and a special education certification from LSU Shreveport. His work has appeared in The Connect Magazine, MotherVerse: A Journal of Contemporary Motherhood, Goodtaste International Magazine, Because We Write Magazine, and Ezine Articles. He lives with his wife, son, daughter, and two lazy rescue dogs in Shreveport, Louisiana. This is his first book. Life at 8 mph is distributed by Baker & Taylor Publisher Services.